Welcome to Arizona Veteran Careers! This site goes beyond veteran employment and hiring to focus on how Arizona service members, veterans & their family members can grow their careers. Public and private sector partners have come together as part of the Arizona Corporate Council on Veteran Careers and the Arizona Roadmap to Veteran Employment to advance opportunities for both job seekers/employees and employers. Service members, veterans & their families are a vital part of our community and our economy. Through stronger partnership and collaboration, we will expand career growth opportunities to all who have served. 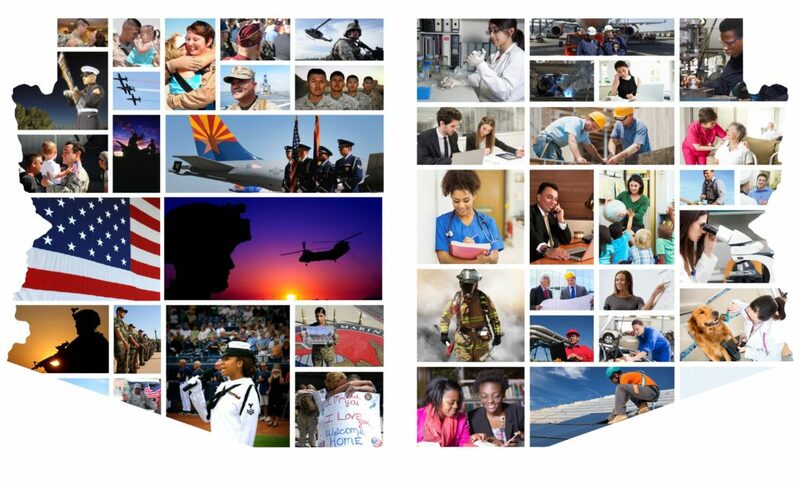 AZ Veteran Careers focuses on ways to grow your career in the civilian workplace, whether you are just getting ready to transition out of the military or whether you’ve been out for 20+ years. Learn about the available opportunities. 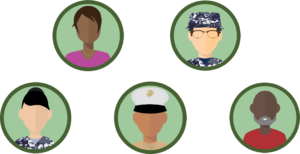 AZ Veteran Careers is here to help you connect with workforce talent and to grow the talent you already have within your workplace. Learn about the tools, training and opportunities for your organization to get involved. The Corporate Council brings together key employers in partnership to focus on how service members, veterans & family members are connected to career growth opportunities. Learn more about the Council mission and members.